Since the 1960s or ‘70s, people have flocked to suburban malls to shop and hang out. A lot of cities tried to get people back downtown by keeping cars out—they shut down streets and created pedestrian malls. Nora Flaherty reports the downtown pedestrian malls seldom worked, but some planners think it’s worth a try again. But these days, you won’t encounter a tangle of cars, cabs, and busses. 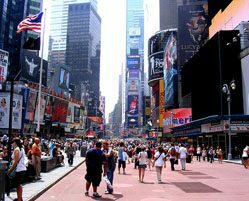 That’s because last spring, the city government decided to close parts of Times Square to traffic and create pedestrian-only plazas. Rochelle Paterson works for the city. She says that the extra breathing space suits her just fine. Now, New York is densely populated and people are used to walking to get around. It’s busy here. But pedestrian malls in other cities have often attempted to bring crowds into areas that cities wish would be busier. 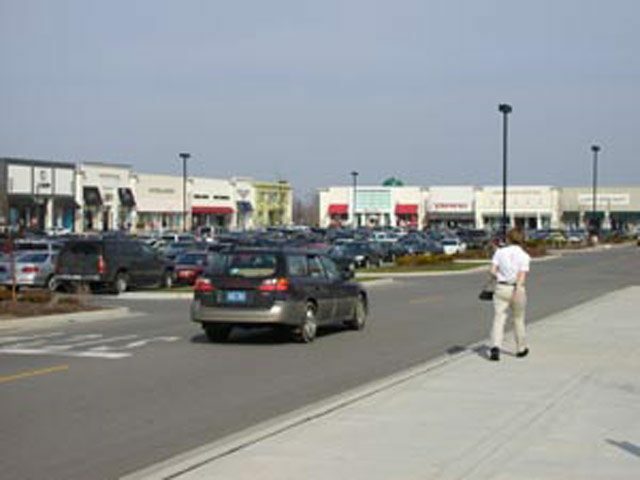 A few decades ago, cities all over the country were feeling the pain as indoor malls opened in the suburbs….and lots of those cities hoped pedestrian malls would make downtowns centers of activity again. Just not the kind they were hoping for. The city shut down traffic. Built a nice pedestrian walkway. But then things went wrong. The city repealed laws against public drunkenness and loitering. A county social services office moved into the mall. And then came drugs, gangs, and prostitution. People thought parking was a hassle. The downtown pedestrian malls were just not convenient. They were not in depressed downtowns; they were in areas where there tended to be a lot of students and tourists, and where people felt safe; and cities needed to provide a lot of activities—things like farmers markets—to bring people in. In other words, a pedestrian mall could make an already-pretty-nice area, nicer…but it couldn’t pull an area out of the kind of a downhill slide. ….But having learned some tough lessons, a lot of urban planners like Reid Ewing are saying it’s time to try again. Planners concede pedestrian malls cannot work just anywhere. But they can work…to make some areas more vibrant, and more environmentally friendly. For The Environment Report, I’m Nora Flaherty. Ellen Ruppel Shell: I think that retailers and multinationals have gone really far to make us not think like that. Your father insisted on value. You know, there’s an old Russian saying, ‘I’m too poor to be cheap.’ You know, this is something that people used to take for granted – we used to know that we got what we paid for. Now, how did this common wisdom get forgotten? Graham: Most of the products we get, we throw away – because they are so cheap. We don’t have to worry about the cost of repairing them, because we can simply replace them with something brand-new. Shell: Absolutely, and, of course, that disposability has been marketed to us as a big advantage. And I’ve also gotten that comment from folks, ‘Well, you know, who cares? I’ll just throw it away. I don’t want something that lasts a long time. I want something new all the time.’ Our relationship with objects has really become distorted – I mean, the very idea that you would buy shoes knowing, almost as you leave the store, that they’re not going to last. And, studies show, that if you believe that, you don’t take care of them. It’s a self-fulfilling prophecy. You assume they’re going to fall apart. Graham: Your book makes it sound as though we’re in a spiral, downward, in pursuit of cheap goods. Why do you make that argument? Shell: Well, I think it’s a spiral we might, now, have the opportunity to pull ourselves out of. But, yes, I do think it’s a spiral – the idea that prices have to go lower and lower. And the reason for this, of course, is that since the 1970s, incomes in the United States have been essentially flat, controlling for inflation. And even going down somewhat, for most Americans. At the same time, three-quarters of our income goes to pay for fixed costs – those things we can’t live without – healthcare, education. So, what have these low priced goods done for us? Well, I argue, not a lot. It’s made tee-shirts, and shorts, and other things, maybe cheaper than ever before, but we have sacrificed – in terms of our wages, our job security, and our stability as an economy – as a consequence of these increasingly low prices, this incredible – what we used to call ‘predatory’ – pricing. Graham: Many of us feel we can only afford ‘cheap.’ What are you suggesting we do? Shell: My goal in writing this book was to get consumers to re-think why they shop in the first place. We spend about 80% more in a discount environment. And, then, we’re getting what we think are these amazing deals. And this triggers in our brain this kind of game-playing behavior – we want to make all these, you know, we want to win. Do we go to buy things that are going enhance our life and add value to our life? Or, is it a game-playing exercise? And I think most of us would say, rationally, well you know, look, ‘I go to purchase things that are going to enhance my life.’ And, if that’s the case, I think that you will actually spend less money, you will buy fewer things, and you’ll think harder about why you’re buying those things, and you’ll get precisely what you want at the price that’s going to work for you. Graham: Ellen Ruppel Shell is the author of the book ‘Cheap: The High Cost of Discount Culture.’ Thanks very much for your time. Shell: Thank you. It’s been fun. stay indoors, when there’s shopping to be done. another to the sounds of soft-rock drifting out of speakers perched on lamp posts outside. take a rest on wrought-iron benches in neatly-manicured courtyards, or in cozy chairs at Starbucks. 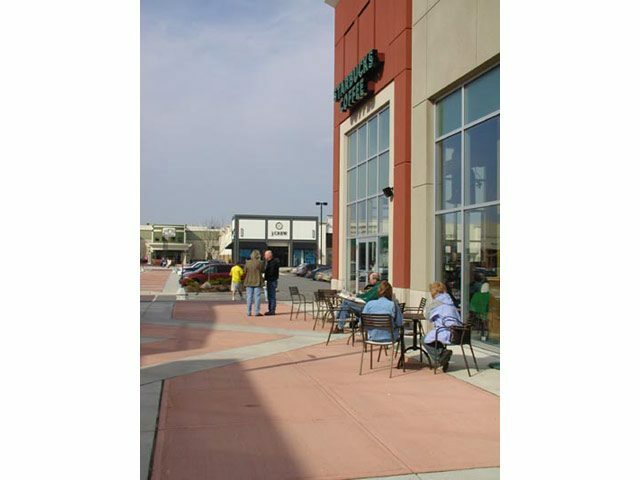 Lifestyle centers also usually have popular chain restaurants and movie theaters. Eastwood to do what they used to do in city centers. 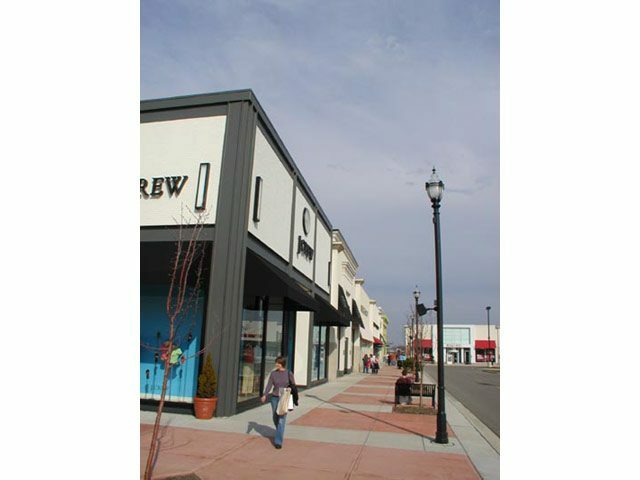 downtowns, and have the free parking and the good stores that malls offer. neighborhoods and infrastructure. Some criticize places like Eastwood for adding to urban sprawl. “smart growth” is all about. attached — if business starts to slide. of cars and shoppers grows this morning. There are 20 new lifestyle centers set to open around the country over the next two years. 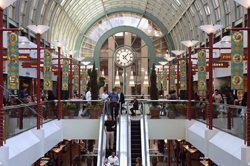 downtowns as new developments draw prime business to the suburbs.